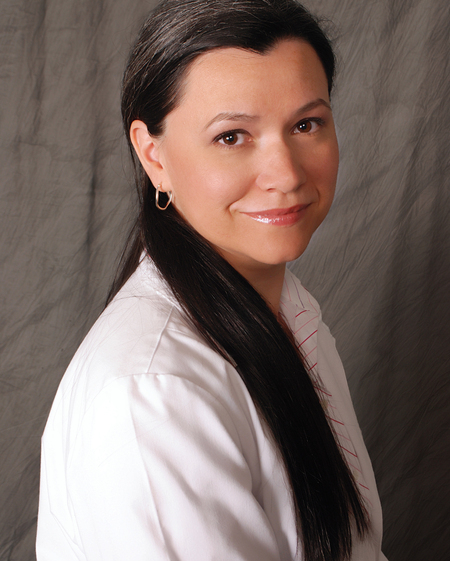 Daniela is a native of Romania and has relocated back to Greensboro (and Wendover OB-GYN) after living in Arizona and providing midwifery care on a Navajo Reservation for the last 3 years. Daniela is the mother of three children. She is an avid reader, loves to travel and explore her adopted country, and enjoys riding her motorcycle wherever it may take her. Daniela also loves to knit, crochet, and the traditional Scottish craft of Shetland lace makng. Being with women and their families during the powerful experience of pregnacy and birth is Daniela's privilege and the fulfillment of lifes calling. Daniela is fluent in Romainian and speaks some Spanish. Daniela is available for patient care appointments.